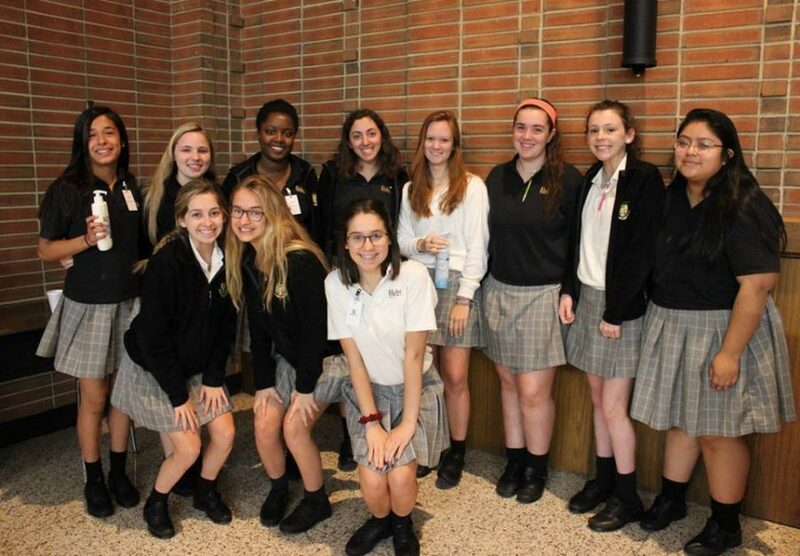 Ms. Scarpone and Mrs. Alinda’s APS Group, image via Padua Academy on Facebook. Ms. Scapone and Mrs. Alinda’s APS Group came up with the idea to renovate the current school bathrooms to be more appealing and clean for students. Their idea includes painting the walls of the bathrooms, hanging canvas paintings, getting new locks for the stall doors, installing new mirrors, and having a beauty bar filled with things such as air freshener and lotions. The group is truly invested in this project, saying that they would even do the painting themselves.